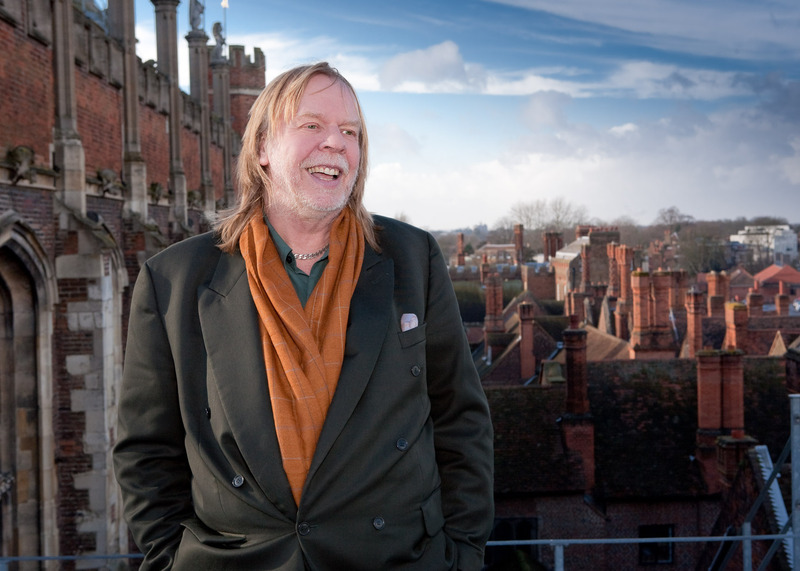 It’s half eight in the morning when I make contact with Rick Wakeman. And despite his memorable past contributions to the BBC’s Grumpy Old Men series, he’s bright and breezy. So what time did this revered ivory-tinkler and prog rock legend get up this morning? “Half past five, sir! I’ve been like that for years and years. I suppose it started when I was doing paper rounds really, and when I was at college I had to get up early to go there. Then when I started doing sessions, the first ones in London were at nine in the morning. To beat the rush hour you had to leave at six. I confide to Rick that I’m the same in recent years, following in the footsteps of my Dad, a postman for 30-plus years who delighted in telling the next person up, ‘You’ve missed the best of the day’. And it seems like this 66-year-old dad of six, married four times, is a kindred spirit in that respect. 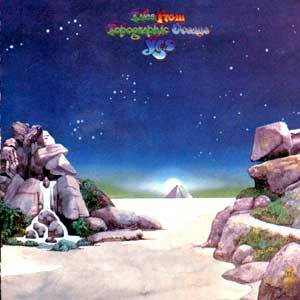 Home is East Anglia for the former Yes and Strawbs keyboard player and occasional radio and TV broadcaster these days. He’s been around a fair bit though, as you might expect of a four-times married 66-year-old with six grown-up children. In fact, I believe Middlesex-born Rick’s youngest son was born in my Surrey hometown, Guildford. Rick had a link – as he had with his beloved Brentford Football Club – with non-league Camberley Town Football Club around then. Was that where he was based? Godalming has a bit of a prog heritage, what with those Charterhouse boys Genesis meeting thereabouts. Maybe it’s something in the trees, I suggest, and Rick laughs. So is it just him and his beloved, Rachael, at home these days? Rick’s up in my adopted patch in Lancashire this autumn, hence my excuse for tracking him down on the phone. So how did the approach come around about taking part in the Lancaster Music Festival (October 16th/17th)? Your religious faith has been important to you over the decades. I’m guessing you’ve played a grade-one listed Anglican church before. So what will the set-up be when you play Lancaster Priory? I was watching a video of that only yesterday. Very impressive. 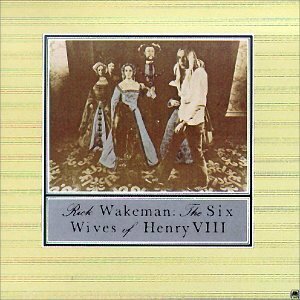 Ah yes, The Six Wives of Henry VIII was the album that truly saw this prog legend recognised as a solo artist, released on the back of two previous successes as part of Yes, Fragile (1971) and Close to the Edge (1972), released at the beginning of 1973 and becoming a top-10 UK hit in a year which ended with further defining Yes collaboration Tales from Topographic Oceans. 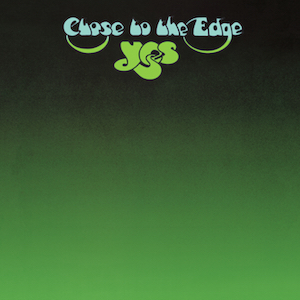 He wasn’t to feature with Yes in the studio again until 1977’s Going For The One, and by then had added Journey to the Centre of the Earth (1974), The Myths and Legends of King Arthur and the Knights of the Round Table, Lisztomania (both 1975), No Earthly Connection (1976) and Winter Olympics documentary soundtrack White Rock to his opus. But while this blogger has carved out a bit of a reputation for in-depth articles on musicians, you’ve got to know when you’re beaten, and to fit all of Rick’s career into this feature would be pretty pointless, not least as you can find out so much more out there anyway, not least on his Rick Wakeman’s Communication Centre website and in his 1995 autobiography Say Yes! So with that in mind, I’ll get back to his reason for heading to the North West. Besides, Lancaster Music Festival prides itself on reflecting the city’s ‘vast musical abundance, excellence and diversity’, and you certainly get all three with Rick. Off the top of his head, and speaking of spectacular venues, which would he say were the most memorable places he’s played over the years? “Amazingly enough, a lot of them do involve churches, cathedrals and priories, although some are really difficult to play because of problems with viewing. I’ve been in places where people are jammed up against pillars and the local dean, vicar or priest says he hopes the fact they can’t see or hear anything won’t spoil their enjoyment. “But I’ve been very lucky with the places I’ve played overall – maybe because I’m old – including a few open-air venues like the Hollywood Bowl. I remember doing Journey there, and as the piece was coming to an end, with an orchestra, the sun was setting behind the venue, which was just unreal. Before Lancaster, there’s another gig at a venue with a difference, at the Barrow Hill Roundhouse in Derbyshire on Friday, September 11. Right up Rick’s street as a steam railway buff, being an old Midland Railway engine shed. Could that ever have been an alternative career for Rick? A bit like Joe Brown, maybe, mixing rock’n’roll with time ‘on the shovel’. As the son of a former loco fireman, I have to ask. Just beyond the Lancaster date, there was also set to be the WakemanFest three-day event at the Gliderdrome in Boston, Lincolnshire, another impressive venue by the sound of it, in what seems to be something of a convention for everything ‘Wakeman’. Two of his children, Oliver and Jemma, were on the bill, and then there was the Strawbs, with appearances by the likes of revered LP cover artist Roger Dean, plus the London Philharmonic Skiffle Orchestra, the English Rock Ensemble, the English Chamber Choir, and many more. Yet I’ve put that in those terms because I’ve subsequently learned that event is now off – postponed until further notice, with Rick’s explanation added to the end of this feature. 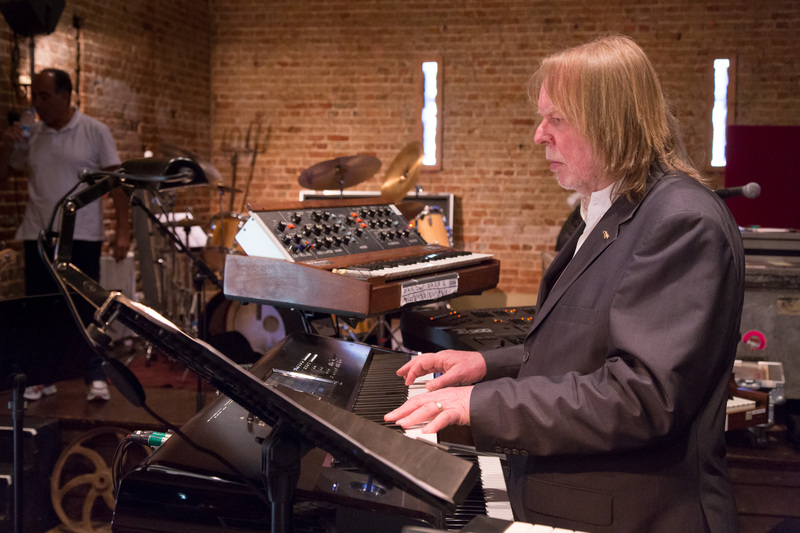 Looking further forward, there are several more dates already lined up for 2016, including some Yet Another Evening with Rick Wakeman Part 2 shows, this rather unorthodox career clearly still going strong (despite the odd setback here and there). For all his ups and downs over the years and a somewhat legendary rock past, it’s worth noting here that Rick’s been off the booze for 30 years, and quit the fags before that. 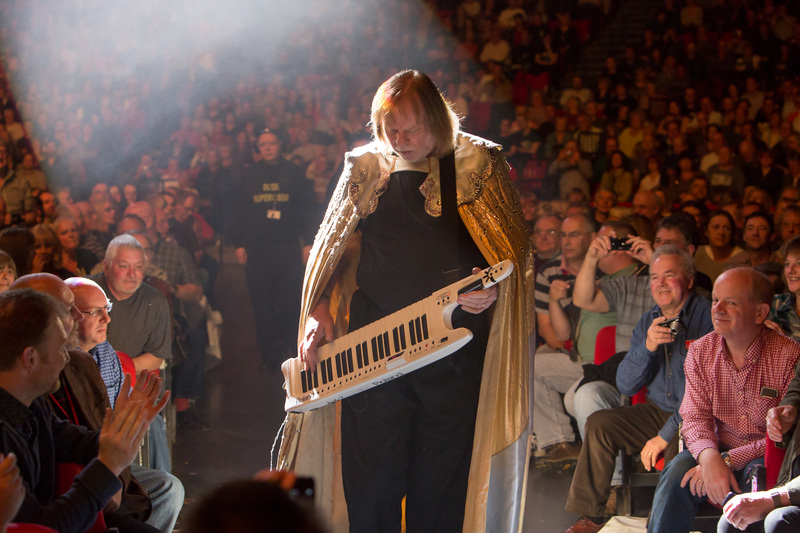 So what does the Rick Wakeman appearance ‘rider’ comprise these days? So there’s not likely to be a shout-out for a curry mid-set (for this performer who famously demolished a spicy dish-load at a Yes show in Manchester many moons ago)? “No. Actually, I was a little bit poorly in the New Year, with incredibly high blood pressure, and the specialist had a look and said, ‘One thing you’ve got to do is dump a lot of weight. “I’m 66 now and one of the problems you get is that you park the car nearer to the house, spend a lot of time in the studio, sitting on planes, sitting on cars. I don’t eat junk good, I’m a healthy eater, but if you’re not burning it off it slowly piles on. So I was told I had to lose five stone by the end of the year. I’ve lost two and a half so far, and feel so much better for it, but still need to do that amount again. After one memorable headline solo show at Crystal Palace in the summer of 1974, Rick suffered a suspected minor heart attack, but his enforced recuperation led to him getting to work on The Myths and Legends of King Arthur and the Knights of the Round Table, while bored at Wexham Park Hospital in Slough. That turned out to be something of a defining moment as a solo artist, didn’t it? “It did to a certain extent. I’d left Yes by then, and I’d had three minor heart attacks, although I was only 26 or so. It was different back then. The whole heart thing has moved on beyond belief since. Forty years ago, they didn’t really look on the heart as a muscle that needed exercise. “I was there all that time, initially strapped in, and they worked on the principle that you should stay still. It was only a few years later that they revised that idea. Bypasses weren’t so successful then, and they took forever. Now, you can have a quadruple bypass and be out in two days. When I came out they advised I didn’t work, and although it may have been a bit selfish as I had a young family, I decided I couldn’t do that. “I love my music and what I do. I couldn’t just sit back and maybe write a few songs, so I went on tour around America. When I came back I had to go for tests at Hatfield, and the specialist said things were looking really good, so obviously these special tablets were working and the rest was doing me the world of good. Thankfully Rick got through that scrape, and a fair few since. I was going to mention your former Yes bandmate, bass player Chris Squire, who died earlier this year. “Yes, Chris was just a few months older than me, and I’ve lost 24 friends this year, from those in the 40s through to a couple in their 80s and 90s, but mostly in the 50s and 60s. That makes you think, ‘Hold on a minute’. In a sense, maybe Rick – who I always remember being an entertaining regular guest on Danny Baker’s radio shows – got his grumpiness out of the way early, with the help of a BBC film crew on the successful Grumpy Old Men series that ran from 2003-06. And it must be pretty good to see his family out there, following his lead in music. “Yeah, my son Adam’s been with Ozzy Osborne now for 12 or 13 years, while Oliver did Yes for a couple of years and a tour with Gordon Giltrap, who’s also doing Lancaster Festival. Jemma’s got a young girl so the music career is on more of a backburner, although she still plays in a really good band with her fiance. It’s more a semi-pro hobby for her, but I’m convinced that if life had been a little bit different for her … she’s a stunning piano player and writes some beautiful songs. Rick was probably going to tell me more about his children there, but I rudely butted in, telling how I’d played Merlin the Magician that morning and could see a clear link between that prog classic and some of the work of supposed punks The Stranglers, not least with that rumbling bass and those keyboards. “Well, it’s like when the alternative comedians came out and slagged off all the standard comedians, but later acknowledged those guys were wonderful. That’s fair enough, it’s the same in music as throughout life. I mentioned The Stranglers there, and I think of Dave Greenfield to this day sinking pints from his perch mid-gig, like a certain other keyboard wizard. I’m not sure if he’s ever managed a full curry mid-gig though. Rick’s certainly lived the rock and showbusiness dream in many respects, despite a few notable lows en route. And this year’s been a big one for the King Rat of the Grand Order of Water Rats. So how long has Rick been involved with that particular exclusive entertainment business charitable organisation? “I’ve been with the Water Rats for donkey’s years. There’s only been 890 members in 126 years, and you can’t ask, you have to be invited. The highest accolade is to become King Rat, with some amazing people in that position over the years. It’s been 20 years since Rick wrote his acclaimed autobiography, Say Yes. He was in his mid-40s then. Stand-up comic Justin Moorhouse told me recently that’s the age for midlife crises. Was that what Rick was going through then? Does this former Brentford FC director ever get back to see family and old haunts in his native Middlesex? 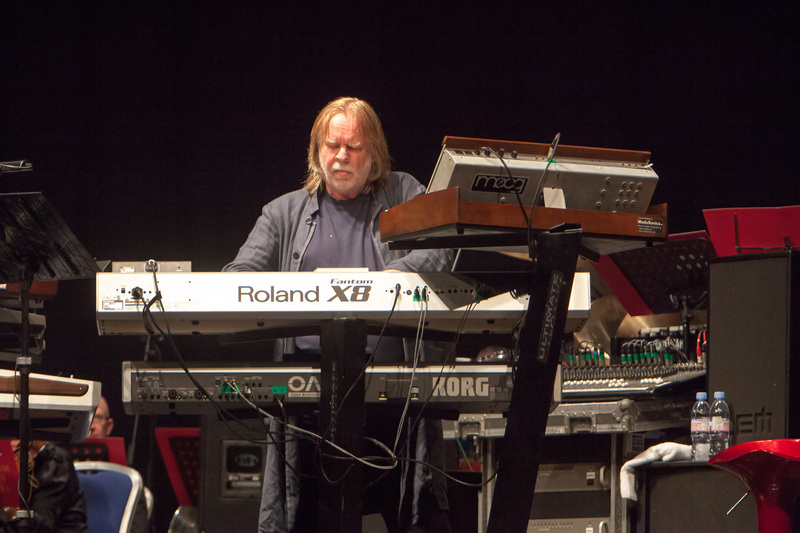 Thinking back to your very first band, are there any recordings out there of Brother Wakeman and the Clergyman? Or the next outfit, The Atlantic Blues, with whom his time included a year’s residency in Neasden, as a young teen? “Funnily enough, although none of The Atlantic Blues are around any more, next year I’m set to record an album featuring all of the pieces I did with them. All a bit of fun, with part of the profits to go to the Down’s Syndrome Association, as it was at a club for people with Down’s Syndrome that we used to play. At that stage in his fledgling career, Rick was still struggling to find that big break, and not too much changed in that respect while he was with his next outfit, The Concords, or the gloriously-titled Curdled Milk – his answer to peers Cream. During his A-level studies, he played in the Ronnie Smith Band, a dance group at the Top Rank ballroom in Watford, and in 1968 secured a place at the Royal College of Music, where he studied piano, clarinet, orchestration and modern music, still intending to become a concert pianist. He began on a performers course before switching to a teachers course, yet took to drinking in local pubs and missing a few lectures, spending a lot of time at a music shop in Ealing, leading to his first recording as a session musician when guitarist Chas Cronk came in looking for an organist and brass arranger for members of the Ike and Tina Turner band. It was then that he met producers Tony Visconti, Gus Dudgeon and Denny Cordell, the latter offering him further work for Regal Zonophone records. And pretty soon Rick was appearing on a number of well-known chart hits. In 1969, the year Wakeman played the piano as a session player for folk rock outfit the Strawbs on their album Dragonfly, the first album with his name on the credits, came another big moment. 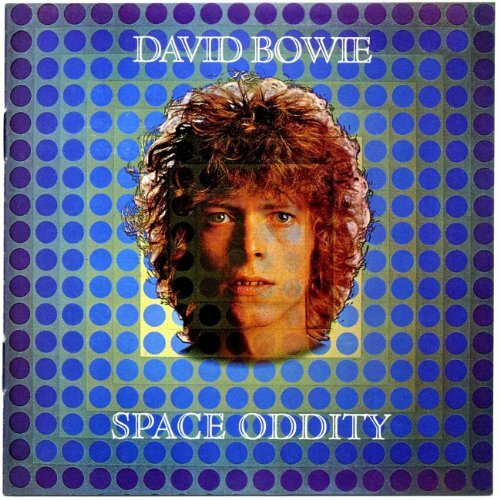 In fact, of everything he’s achieved over the decades, a few of us would probably just be happy to have featured on songs like Space Oddity. So can Rick recall what he did with the £9 he earned from playing mellotron on David Bowie’s breakthrough hit? As it turned out, a few of those songs which ‘One Take Wakeman’ featured on in that era more or less form a soundtrack for our lives, not least T-Rex’s Get It On and several tracks on Bowie’s Hunky Dory and Elton John’s Madman Across the Water in 1971 alone. This blogger, born in 1967, also has a soft spot for Rick’s piano parts on Cat Stevens’ Morning has Broken that same year, a version of the 1931 Christian hymn my big sister regularly played on her dansette and which I also recall from primary school assemblies. “Funnily enough, my wife was only born in 1974, and when we met she knew nothing of what I did. But around three years in, Morning was Broken was played on the radio and the jockey, whoever that was, mentioned I played the piano on that. 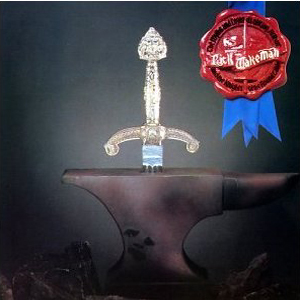 While Rick initially left his most successful band, Yes, after four years in 1974, he’s been back with them for a few spells since, and offshoots Anderson, Bruford, Howe Wakeman too. So is he still in regular contact with US-based 70-year-old Accrington lad Jon Anderson? Time was against me by now, but while Rick’s career is pretty well documented elsewhere, I finally asked if he could tell us one astounding fact we might not know about him. He probably has every good reason to feel bitter about all that, but that’s not the way of this amiable and highly-entertaining character, who quickly adds, “I’m only joking though. STOP PRESS! Word reached me on September 10th, 2015 (with big thanks to Steve Dolton for the tip-off) that Rick has had to cancel his WAKEmanFEST 2015 show. Accordingly, I ‘borrowed’ this following message from Rick’s website, as he put it in far better detail than I could manage here. “September is already proving to have brought up its fair share of obstacles and I sadly have to start with the most pressing which is that we have regrettably had to put WAKEmanFEST on hold until next year. We have made this decision early as we feel that is the fairest thing to do rather than leave the announcement until much later. All the participants have been informed and they are all on board for the rescheduling for next year and that also means that with a bit of luck, Adam, will be able to join us as well. “As most people are aware, I had quite a serious health scare just after Easter which necessitated my ‘culling’ my diary quite drastically, and although my health has improved and blood pressure heading the right way etc etc, it’s meant, that on advice, I have had to take a really close look at what is currently in for the rest of this year and doing quite a lot more culling. “To this extent, apart from WAKEmanFEST, a proposed 16 piano dates in Scandinavia currently pencilled for November and December have had to go and also the proposed Journey to the Centre of the Earth show in Tenerife at Xmas is also under review. “It’s totally my fault as I allowed the diary to start filling up again and everything stemmed from that. My management, agents and indeed my wife basically read me the riot act … again! … and I succumbed to the fact that I really do have to listen. “The deal that was struck was that of nothing being cancelled, just postponed and so announcements will be made as to new days, early next year, after my next medical! 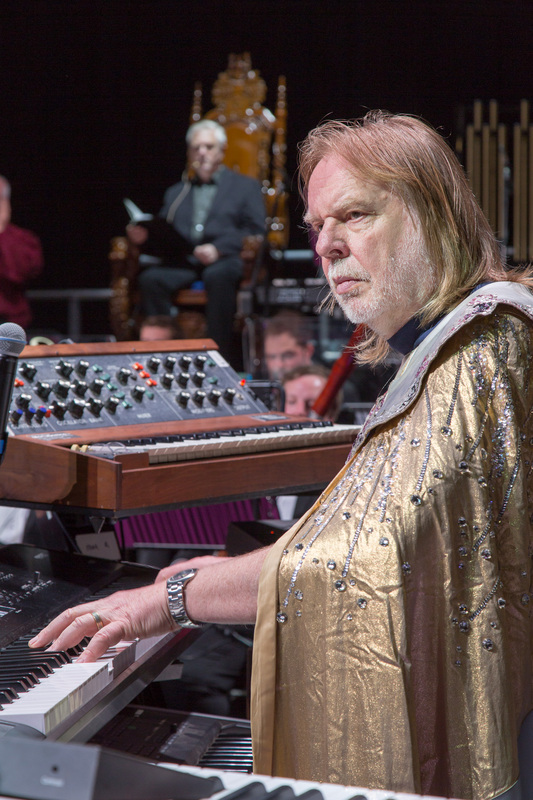 Meanwhile, Rick Wakeman’s show at Lancaster Priory (October 16/17) is still set to happen. Tickets are on sale via this link. And for all the latest from Rick, you can head to his own website here. This entry was posted in Books Films, TV & Radio, Music and tagged . Lancaster Music Festival, Barrow Hill Roundhouse, Brentford FC, Camberley Town FC, Cat Stevens, Chris Squire, David Bowie, Elton John, Grand Order of Water Rats, Grumpy Old Men, Hunky Dory, Jon Anderson, Lancaster Priory, Middlesex, Morning Has Broken, prog rock, Rick Wakeman, Space Oddity, Strawbs, WakemanFest. Bookmark the permalink. That means Wakemanfest is now off. His only gig with the English Rock Ensemble is this Friday at Barrow Hill Roundhouse near Chesterfield. Just had a look and they look like they still have tickets. Fans who were going to Wakemanfest might appreciate a heads up on your website. Thanks for letting us know, Steve. Note now added to my feature, as you’ll see!